Figura 6.1- O grupo da Gastropediatria da EPM. Figura 6.2- Ulysses Fagundes fazendo sua apresentação oral na sessão de Temas Livres. Figura 6.3- Mitchle Cohen, Stefano Guandalini e eu na condução dos trabalhos na sessão de Temas Livres. Figura 6.4- Grupo de congressistas no jantar na casa de Harland Winter, presidente do Congresso. Finalmente, o grande e esperado dia chegou em agosto de 2000, enfim materializava-se o sonho após tantos anos de incessante busca. O evento Congresso Mundial tornara-se uma realidade e como previsto por Cadranel foi um enorme sucesso, o que antecipava a certeza de que definitivamente outros eventos iguais viriam a ser realizados. A participação da nossa Disciplina foi intensa, a presença do nosso grupo foi marcante, e, além disso tivemos a oportunidade de apresentar à toda a comunidade científica internacional da especialidade inúmeros trabalhos de pesquisa nas sessões de Temas Livres. Tive também a oportunidade de conjuntamente com meus colegas norte-americanos Stefano Guandalini e Mitchell Cohen coordenar uma das Mesas de apresentação de Temas Livres do Congresso. Além das seções científicas os organizadores do Congresso também tiveram a iniciativa de patrocinar algumas atividades sociais das quais participei, mas a mais relevante delas foi a realizada na casa no Presidente do Congresso, Harland Winter, o que se denominou “Jantar do Presidente”. Section Editors: Baker, Robert D. Jr. M.D., Ph.D.; Rosenthal, Philip M.D. ; Sherman, Philip M. M.D., F.R.C.P.C. 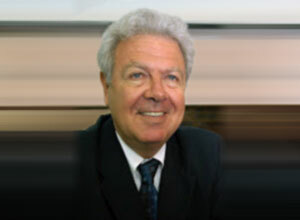 ; Büller, Hans M.D. *The Children’s Hospital University of Colorado School of Medicine, Denver, Colorado, U.S.A.
**Massachusetts General Hospital Harvard Medical School, Boston, Massachusetts, U.S.A. 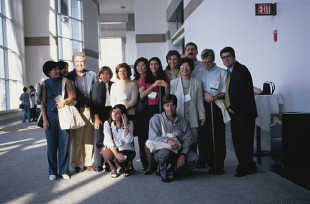 Following the very successful joint meeting in 1994 of the North American Society for Pediatric Gastroenterology and Nutrition (NASPGN) and the European Society of Pediatric Gastroenterology, Hepatology and Nutrition (ESPGHAN) in Houston, Texas, a feeling of growing unity among the international pediatric gastroenterology societies emerged. 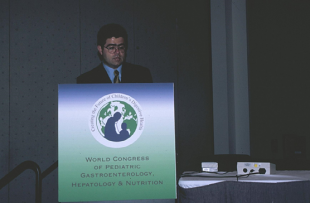 The concept of holding a World Congress of Pediatric Gastroenterology, Hepatology and Nutrition, at which these societies could hold a combined meeting, spawned simultaneously in North and South Americas, Australia, Asia, and Europe. 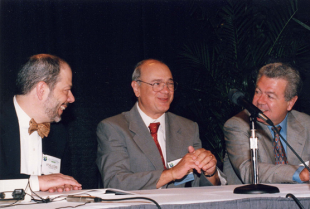 In 1995, the then Presidents of the four Societies, Ronald Sokol of NASPGAN, Ulysses Fagundes-Neto of the Latin American Society for Pediatric Gastroenterology and Nutrition (LASPGAN), Samy Cadranel of ESPGHAN, and Geoff Cleghorn of the Asian Pan Pacific Society for Pediatric Gastroenterology and Nutrition (APPSPGAN) began a series of meetings and discussions over the possibility that such a World Congress could be organized for the new millennium. With the addition in 1996 of new Presidents, Harland Winter of NASPGN and Yuichiro Yamashiro of APPSPGAN, these discussions culminated in the signing of an agreement among all the four major societies in November, 1998 at the annual NASPGN scientific meeting in Toronto, Canada. 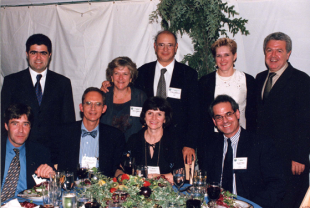 The Societies agreed to work together as partners to organize the First World Congress of Pediatric Gastroenterology, Hepatology and Nutrition in Boston, Massachusetts in the year 2000 and repeat the event every 4 years. The Congress would be held in Europe in 2004, in Latin America in 2008, and then in Asia in 2012. The meeting would return to North America in 2016 and the cycle would continue. Stefano Guandalini (ESPGHAN), Mei-Hwei Chang (APPSPGAN), and Roberto Calva (LASPGN) joined Ronald Sokol, Harland Winter, Ulysses Fagundes-Neto, Yuichiro Yamashiro, and Samy Cadranel to form the International Executive Committee that would oversee the meeting. Because NASPGN was to be the host society, a Host Executive Committee was created to raise funds and publicize the meeting. This committee was composed of William Balistreri (chaired the Post-Graduate Course), Carlos Lifschitz (chaired the Scientific Program Committee), Richard Colletti (current NASPGN President), Peter Durie, Kathleen Schwarz, William Klish, Richard Grand, William Treem, and the two NASPGN representatives on the International Executive Committee. One of the goals of the World Congress was to address in a formal fashion the major global issues concerning digestive disease, liver disease, and nutrition of children. A survey of the members of the International Executive Committee resulted in a consensus of the 20 most relevant problems of children’s digestive health. Working groups of international experts were formed to analyze these important areas and to draft a document that would outline the current state of the problem, define areas of emphasis in need of investigation or implementation, and to make recommendations for the future directions and initiatives needed to improve child health in each of these areas. The topics chosen included 12 that focused on gastrointestinal disorders, 4 on liver diseases, and 4 on nutritional issues, and ranged from those with broad political and socioeconomic implications to those concerned with innovative technology, functional disorders, infectious diseases, allergy and immunology, genetic and metabolic disorders, organ transplantation, inflammatory and autoimmune disorders, and malnutrition and obesity. Each of the working groups included a group organizer, who was responsible for coordinating and submitting the report, as well as two members from each of the four organizing societies. Several groups included experts from the World Health Organization and the Commonwealth Association of Pediatric Gastroenterology and Nutrition. The result of this project was the Report of the Working Groups 2000, a 263-page bound volume of the 20 reports that was distributed at the World Congress in Boston and that will be published later this year as a supplement to the Journal of Pediatric Gastroenterology and Nutrition. A summary of each of these reports was presented during the afternoon Topic Forums of the World Congress. The Report of the Working Groups 2000 will be distributed to health care agencies, government bureaus, foundations, and academic and pediatric societies around the world to stimulate these bodies to initiate a major effort to improve childhood digestive and nutritional health by allocating resources to the problems discussed in the reports. In subsequent World Congresses, the Working Group reports will be updated. It is the intention of the organizing societies that these documents will stimulate physicians and scientists to develop international collaborations critical for resolving the digestive health problems outlined in the report. The International Executive Committee of the World Congress extends its sincere appreciation to the more than 150 members of the Working Groups for their collaborative efforts in making this project a success.